Cybersecurity is a top-tier issue. Some of the largest organizations in the world become victims of costly cyberattacks and data theft incidents, directly affecting the wealth and future of organizations. Yet cybersecurity is seldom subjected to board-level review and oversight. Cybersecurity is no longer a topic that can be left solely to the IT department. It is essential that the board ask questions on how well the organization they oversee is prepared to face the new world of high-risk data breaches and realize continued success in these tumultuous times. 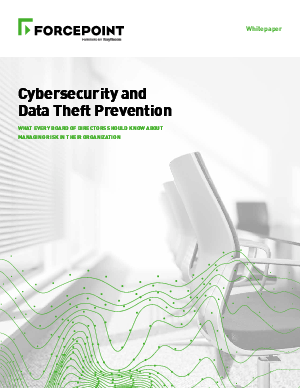 This “Cybersecurity and Data Theft Prevention” report provides an easily digestible guide for directors in their approach and assessment of the cybersecurity posture and processes of the organization(s) they oversee.